For example, if you have an iPod touch 5G then there won’t be any Night Shift option to select from. 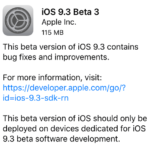 Just a few days ago, Apple released their first beta version of iOS 9.3 to developers and it’s worth mentioning because some of the features that are included in this firmware are amazing. The release includes better security features for stock iOS applications and a new feature called Nigh Shift mode. 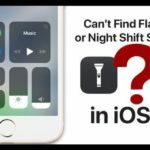 As the name suggested, Night Shift mode makes it easier for iPhone and iPad users to use their device at night by reducing the amount of bright blue lights that are normally omitted. 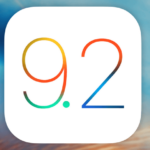 This is one of the many requested features that Apple finally bring to their core iOS firmware. The Night Shift mode feature will use your device’s clock and GPS for the location to determine when is the best time to have Night mode turned on. Also, the device will be back to its normal settings in the morning. 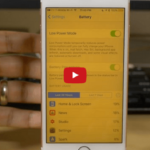 Now that you have updated to iOS 9.3 but never get a chance to experience the highly requested Night mode feature, here is how to turn it on. As I mentioned earlier, this feature can also be turned on automatically using your device’s clock and GPS data, however, a scheduling system must be setup first. The easiest way to deal with this is choosing From Sunset to Sunrise so that device can do its own things. But, if you have your own liking and preference then go with your own Nigh Shift custom schedule. If you have checked all the settings and your Night Shift mode is still not working, you are not alone. Several users have had this issue after updating their iOS to 9.3.3. We suggest that you try the following fixes to help you with this issue. Toggle the night Shift switch in your Settings to OFF and then ON a few times. Keep it at ON at the end and test to see if it does the trick. If that Settings toggle didn’t work for you, please try to reset your iDevice by pressing the Home button and sleep/wake button together for 15 seconds or so till you see the Apple Logo appear. Once your device restarts, check the settings and test out your Night Shift feature. We hope that these tips work for you. Please let us know in the comments below. In my opinion best solution of this problem is not to use this feature. Try any screen protector which can protect harmful blue light. This short wavelength light is known to cause eye strain and fatigue, as well as to increase the likelihood of eye diseases. I can currently using “ocushield” screen protector, which can prevent blue light.